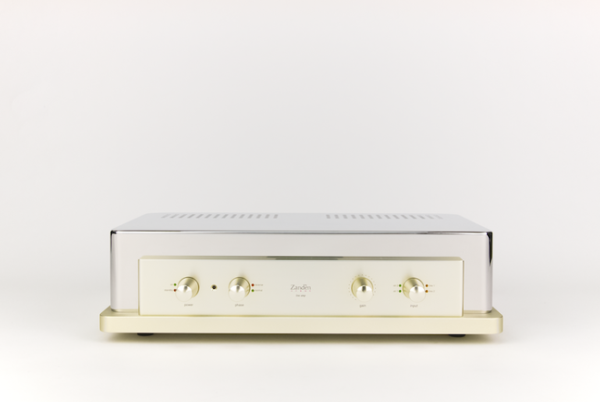 It replaces the current model 3000 preamplifier in the Classic Series and includes a number of crucial improvements. Input and output transformers have been replaced with amorphous cobalt ones. The tube rectified power supply has been completely redesigned. Zanden has also retained ALPS highest quality analog potentiometer while successfully implementing a unique motor drive system to achieve remote volume control. The model 3000mk2 includes a full function remote which controls power, volume, switching of sources, absolute or reverse polarity and a mute function. Be sure to visit us in the Venetian Suite 29-312 from January 5th to the 8th and experience the completely redesigned Zanden model 3000mk2. The playback system will include our model 9600mk2 mono block amplifiers and 1200mk3 phono stage. We will demonstrate an all analog playback system, including Kharma dB-9S speakers and a Grand Prix Audio Monaco turntable. You will hear how far we have closed the gap between live music and recorded music. COLIN WONFOR: PSU, material being the limiting factor perhaps?